Whether you want to build more muscle or hold on to what you have while you diet, getting sufficient protein should be a priority. 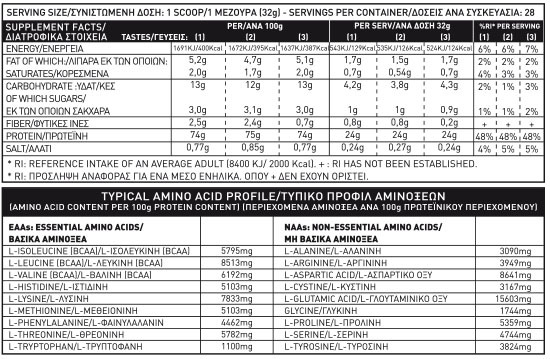 Muscles need a constant stream of amino acids from protein for maintenance. If you don't ingest enough protein your body will ''steal'' amino-acids from the protein stored in your muscles. 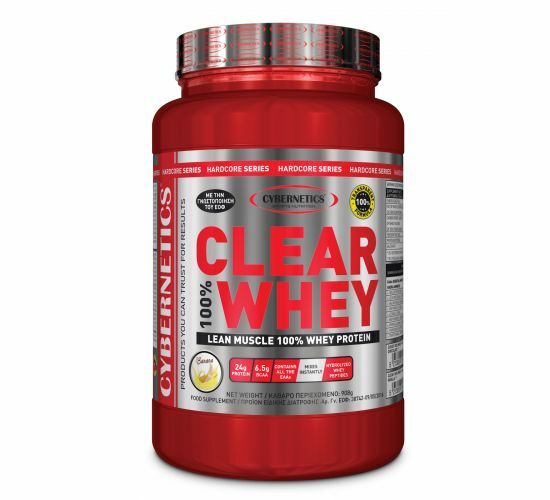 CLEAR 100% WHEY protein is a high quality formula solely consisted of the best whey sources including hydrolyzed protein and protein peptides. With 24g of protein per dose and a very high amount (6.5g) of branched chain amino acids [the only amino-acids that can be metabolized directly into the muscle], CLEAR 100% WHEY contains the most valuable ingredients that promote strength and lean muscle mass. 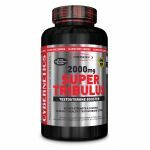 The product's very high biological value and completeness in all essential and non-essential amino-acids, can cover the increased daily protein needs of any athlete, providing quality and digestible grams of whey protein. 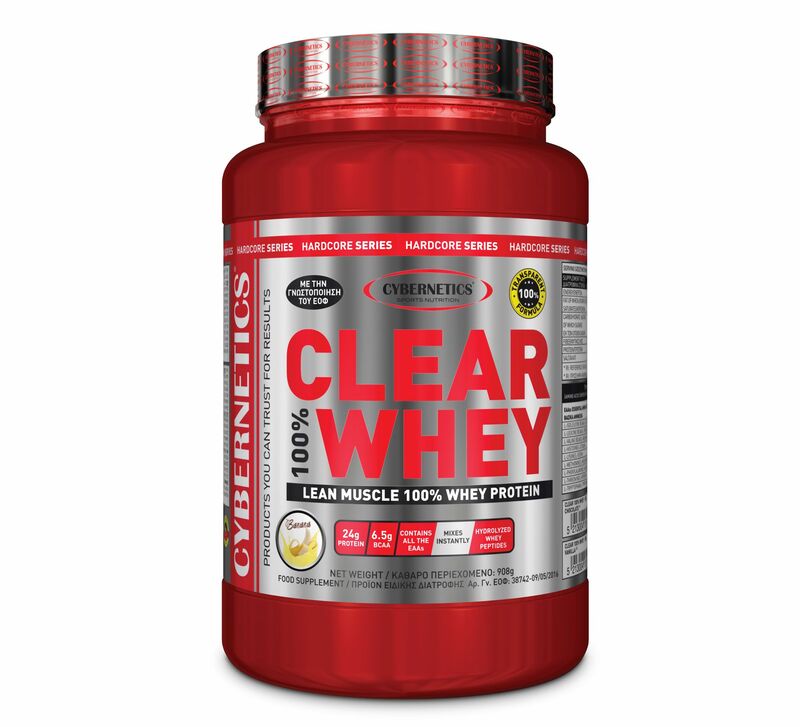 CLEAR 100% WHEY is manufactured with the purest ingredients and best raw materials in order to "function" as a very effective supplement and at the same time taste like a delicious milkshake! With minimum amounts of fats and sugars (just 1g) it is definitely the most healthy and nutritional milkshake that you could have throughout your day! You can aste a huge variety of flavors that'll make it difficult for you to decide which one is better than the other. CLEAR 100% WHEY is ideal to consume immediately upon waking up in the morning and certainly post-workout which enhances the recovery-and repair processes of your strained muscles. CLEAR 100% WHEY is a premium protein powder for those who demand more from their supplements and it is specifically engineered to provide the building blocks you need to develop lean muscle.